"Crazy" is a ballad composed by Willie Nelson. It has been recorded by several artists, most notably by Patsy Cline, whose version was a No. 2 country hit in 1962. Partly due to the genre-blending nature of the song, it has been covered by dozens of artists in several genres over the years; nevertheless, the song remains inextricably linked with Cline. Nelson's own version appears on his 1962 debut album ...And Then I Wrote. From beloved ballads to fast-paced, up-tempo tunes, this barbershop songbook is the perfect resource for adding a little country flair to your quartet or chorus show. Perform individual or perform the entire collection as a complete set of country favorites. 11 vocal selections, including: AC/DC - Crazy - He'll Whistle at Me - Light at the End of the Tunnel - Make up My Heart - Next Time You Fall in Love - One Rock 'N' Roll Too Many - Pumping Iron - Rolling Stock - Starlight Sequence - U.N.C.O.U.P.L.E.D. Margaret LeAnn Rimes, known simply as LeAnn Rimes, (born August 28, 1982) is an American singer-songwriter and actress, best known for her work in country music. She is best known for her rich vocals similar to legendary country music singer Patsy Cline, and her rise to fame at the age of 13, becoming the youngest country music star since Tanya Tucker in 1972. Rimes made her breakthrough into country music in 1996. Her debut album, Blue, reached #1 on the Top Country Albums chart and was certified "multi-platinum" in sales by the Recording Industry Association of America. The album's lead single of the same name (originally intended to be recorded by Patsy Cline in the early 1960s) became a Top 10 hit. With immediate success, Rimes attained widespread national acclaim for her similarities to Cline's vocal style. When Rimes released her sophomore studio effort in 1997, You Light up My Life: Inspirational Songs, Rimes went more towards country pop material, which would set the trend for a string of albums that would be released into the next decade. LeAnn Rimes is the artist of the single that has had the longest stay on the Billboard Hot 100 chart, the youngest person to win a Grammy, and the first country singer to win the Grammy Award for Best New Artist. Since her debut, Rimes has won many major industry awards, which include two Grammys, three ACMs, one CMA, twelve Billboard Music Awards, and one American Music award. From teen sensation to mature adult icon, LeAnn Rimes has wowed fans with her sensational voice and moving songs for years. Music includes lyrics, melody line, and chord changes with professionally arranged piano accompaniment. The definitive Patsy Cline book for singers! 27 top songs in the original key, newly transcribed from the original recordings. For voice with piano accompaniment, with chord symbols. Virginia Patterson Hensley (September 8, 1932 - March 5, 1963), known professionally as Patsy Cline, was an American country music singer who enjoyed pop music crossover success during the era of the Nashville sound in the early 1960s. Since her death at age 30 in a 1963 plane crash at the height of her career, she has been considered one of the most influential, successful, revered, and acclaimed female vocalists of the 20th century. Cline was best known for her rich tone and emotionally expressive bold contralto voice , which, along with her role as a mover and shaker in the country music industry, has been cited and praised as an inspiration by many vocalists of various music genres. This Pro Vocal series contains the lyrics, melody, and chord symbols for eight of her hit songs. The CD contains demos for listening, and then separate backing tracks so you can sing along. The CD is playable on any CD, but it is also enhanced for PC and Mac computer users so you can adjust the recording to any pitch without changing the tempo! Perfect for home rehearsal, parties, auditions, corporate events, and gigs without a backup band. Or for singing just for the fun of it! Features 25 of her all-time classics, including: Back in Baby's Arms - Crazy - I Fall to Pieces - Leavin' on Your Mind - San Antonio Rose - She's Got You - Sweet Dreams - Three Cigarettes in an Ashtray - Walkin' After Midnight - The Wayward Wind - Why Can't He Be You - Your Cheatin' Heart - more! This Canadian teen pop star is quickly gaining popularity with this debut album which reached #1 on the Billboardae 200 album charts. Our folio includes all 12 songs from the album: Aftertaste - Air - Crazy - I Don't Even Know Your Name - Kid in Love - Life of the Party - A Little Too Much - Never Be Alone - Something Big - Stitches - Strings - This Is What It Takes. Each songbook in the Big Book series provides musicians of all ability levels with a big list - usually 40 or more titles per book - of the very best songs from a favorite musical genre. Sing and dance along to these modern R&B favorites from a plethora of award-winning artists. Song include: Be Without You (Mary J. Blige) - Crazy (Gnarls Barkley) - Dreamlover (Mariah Carey) - For You I Will (Monica) - Get it on Tonight (Montell Jordan) - I Turn to You (Christina Aguilera) - Promiscuous (Nelly Furtado) - Shake It Off (Mariah Carey) - Too Little Too Late (Jo Jo) - What Goes Around Comes Around (Justin Timberlake) - Where My Girls At? (702) - and many more. Sling that sensual voice around like a black feather boa! 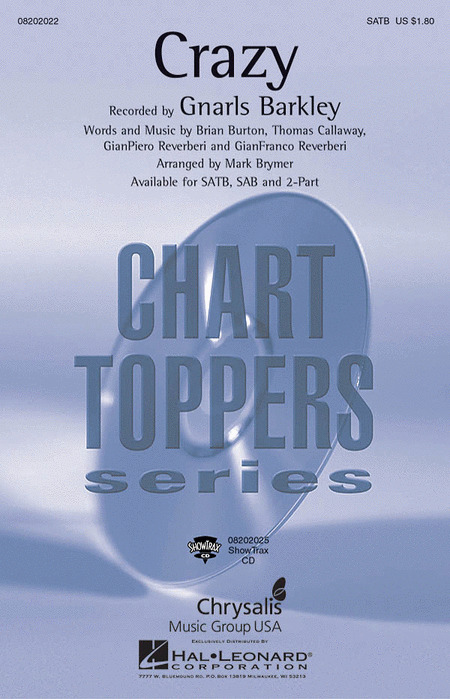 This collection contains 35 great standards in low keys especially for women singers. experience is limited, a chord speller chart is included at the back of the book to help you get started. Willie Nelson is widely recognized as an American icon and is certainly one of the very best American singer / songwriters of his generation. He has written such classic songs as Crazy, Always On My Mind, Stardust and Blue Eyes Crying In The Rain which will all certainly be timeless standards for generations to come. Here is a collection of 37 of his songs. This Gnarls Barkley single was the first title to reach #1 in Britain based on digital sales alone. 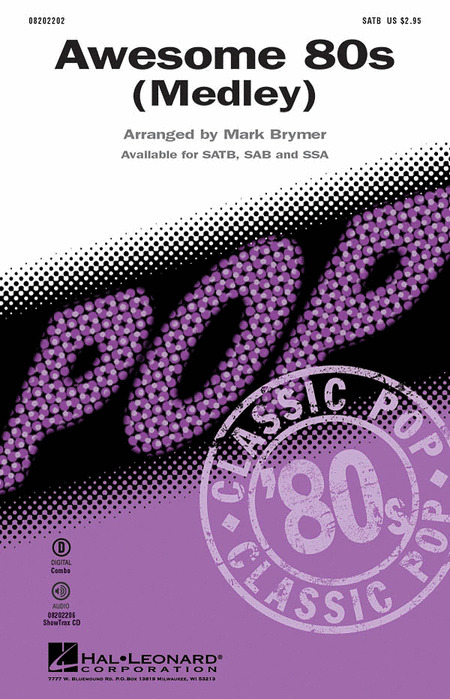 Following the US release, it jumped to #2 on the Billboard Hot 100.Available separately: SATB, SAB, 2-Part and ShowTrax CD. Performance Time: Approx. 2:35. 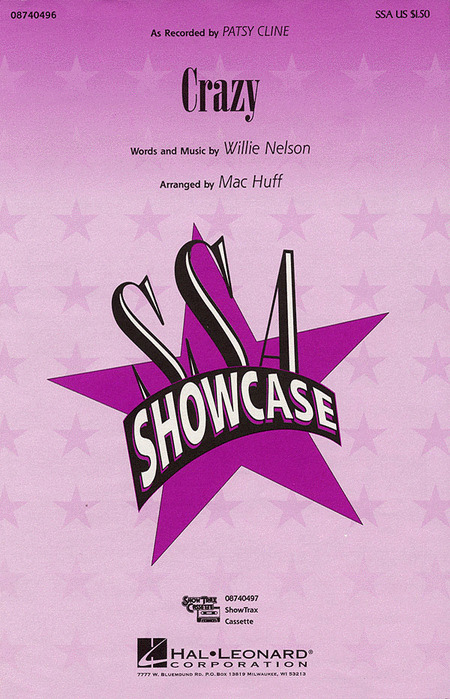 Showcase your SSA ensemble with this Patsy Cline classic! Available: SSA, ShowTrax CD. Performance Time: Approx. 3:20. As a completely different and fresh setting of the classic penned by Willie Nelson and made famous by Patsy Cline, this arrangement of Crazy will drive you crazy with its jazz harmonies and distinctive interpretation of lyric. Choral jazz at its most creative and finest!